“During the early 70s, a rather remarkable experiment took place. Chile was in revolutionary ferment. 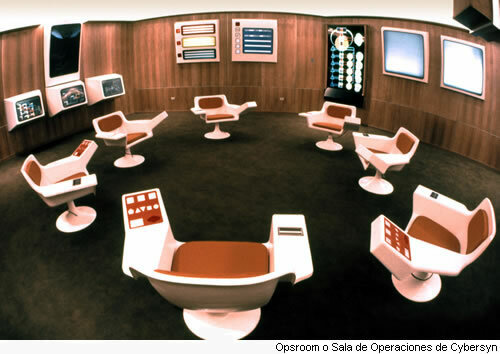 In the capital Santiago, the beleaguered but radical marxist government of Salvador Allende, hungry for innovations of all kinds, was employing Stafford Beer to conduct a technological experiment known as Project Cybersyn, and nothing like it had been tried before, or has been tried since. Stafford Beer attempted, in his words, to “implant” an electronic “nervous system” in Chilean society. Voters, workplaces and the government were to be linked together by a new, interactive national communications network, which would transform their relationship into something profoundly more equal and responsive than before – a sort of socialist internet, decades ahead of its time. As in many areas, the Allende government wanted to do things differently from traditional marxist regimes. “I was very much against the Soviet model of centralisation,” says Raul Espejo. Until then, obtaining and processing such valuable information – even in richer, more stable countries – had taken governments at least six months. But Project Cybersyn found ways round the technical obstacles. 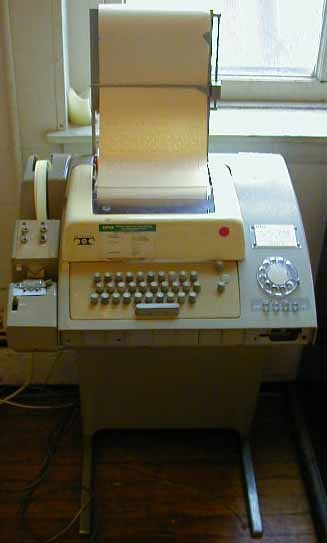 In a forgotten warehouse, 500 telex machines were discovered which had been bought by the previous Chilean government but left unused because nobody knew what to do with them. These were distributed to factories, and linked to two control rooms in Santiago. There a small staff gathered the economic statistics as they arrived, officially at five o’clock every afternoon, and boiled them down using a single precious supercomputer into a briefing that was dropped off daily at La Moneda, the presidential palace. Allende had once been a doctor and, Beer felt, instinctively understood his notions about the biological characteristics of networks and institutions. Just as significantly, the two men shared a belief that Cybersyn was not about the government spying on and controlling people. On the contrary, it was hoped that the system would allow workers to manage their workplaces, and that the daily exchange of information between the shop floor and Santiago would create trust and genuine cooperation – and the combination of individual freedom and collective achievement that had always been the political holy grail for many leftwing thinkers. Thanks for another excellent find. You guys really make me miss the magazine when I read excellent stuff like this. Even though you may not have originated the text you do us all a service by being a trustworthy “gatekeeper”. Will Dave Reeves mention “the other 9-11”?